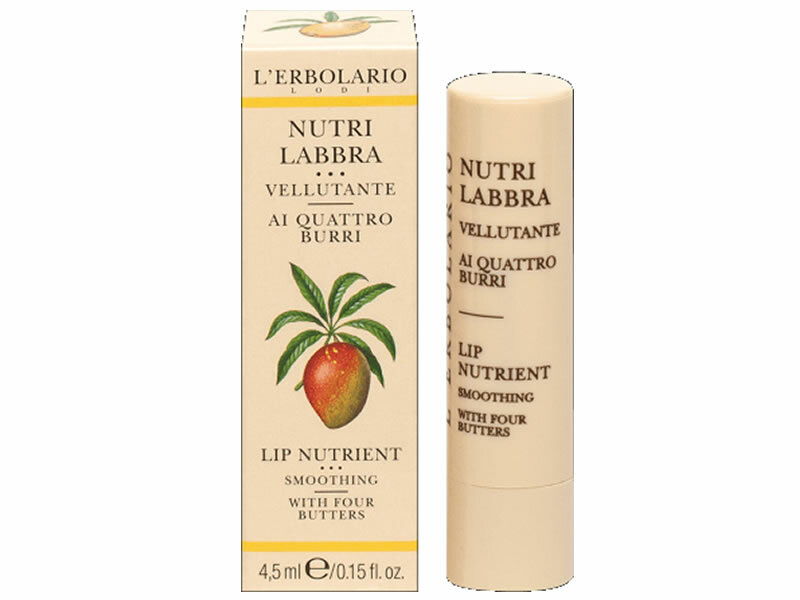 Three noble butters (Shea, Mango, Illipe) join the traditional Cocoa butter to assure the softness and suppleness of the lips, protecting them thanks to the anti-oxidant action of Vitamin E.
Apply the Stick thoroughly to your lips, without forgetting to go over the contours where small wrinkles tend to develop. Functional substances Shea, Cocoa, Illipe and Mango butters, Vitamin E, Gamma oryzanol, Jojoba Oil. Ricinus communis (Castor) Seed Oil, Simmondsia chinensis (Jojoba) Seed Oil, Polyglyceryl-3 Beeswax, Butyrospermum parkii (Shea Butter), Copernicia cerifera (Carnauba) Wax, Glyceryl Behenate, Theobroma cacao (Cocoa) Seed Butter, Shorea stenoptera Seed Butter, Mangifera indica (Mango) Seed Oil, Oryza sativa (Rice) Bran Wax, Tocopheryl Acetate, Tocopherol, Oryzanol, Helianthus annuus (Sunflower) Seed Oil, Aroma (Flavor), Parfum (Fragrance), Benzyl Benzoate, Coumarin.